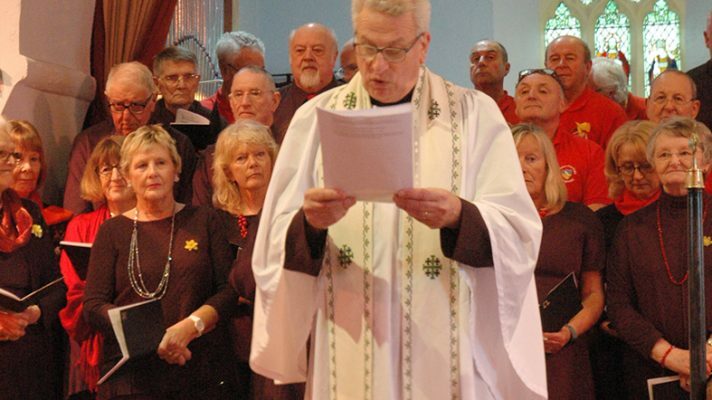 A St David’s Day celebratory Cymanfa Ganu has taken place in Llangennith Church and, despite the gales, the church was full of the glad sound of good Welsh singing. 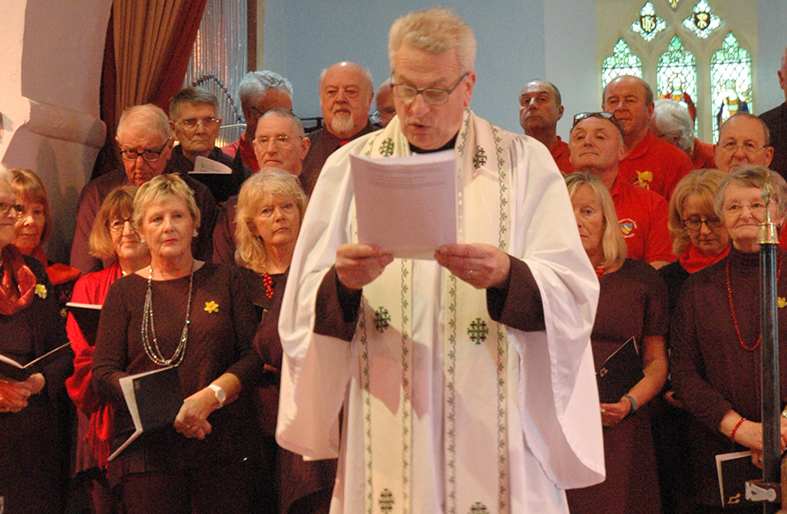 Conductor Alun Tregelles Williams, who was heard to say ‘ardderchog’ more than once, gave us the background to the congregational hymns and helped us enjoy the event even more. Thank you Alun. 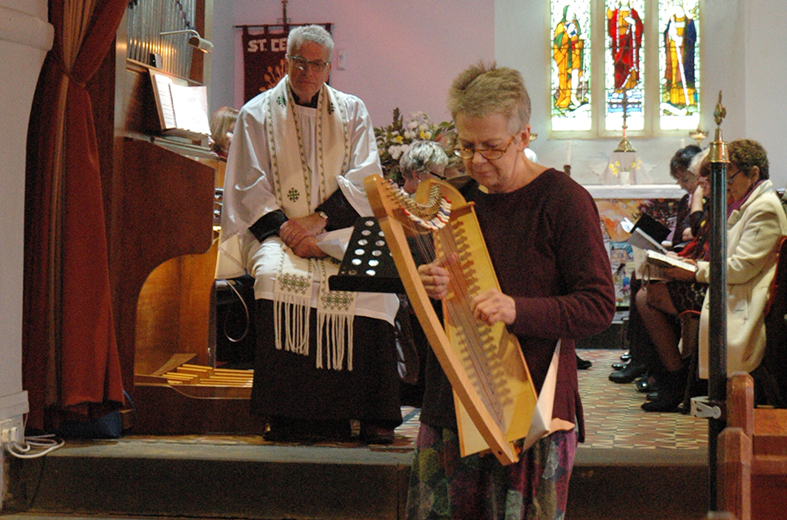 We were privileged to have Delyth Jenkins play on her harp to start the service. 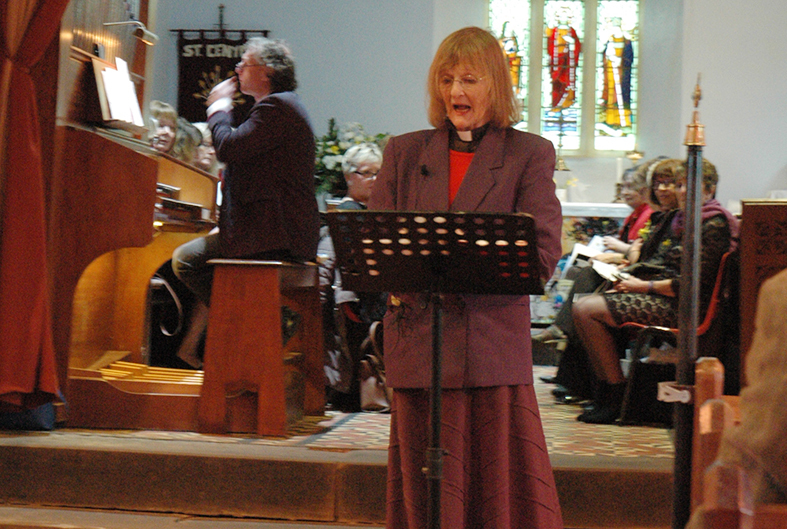 After that the treat continued with some wonderful singing by choirs under the baton of Linda Jenkins and before the congregational hymns started Delyth’s group Dysgu drwy Ganu led us in singing ‘Dyma Gariad fel y Moroedd’. Backed up by Chris Samuels’ brilliant playing on the organ we stood where Dewi Sant stood and sang our hearts out. Thank you to Rev Glyn Austin for hosting this event and for his congregation who baked bara brith and Welsh cakes which were enjoyed with a cup of tea or coffee. Thank you to the committee who arranged the event and for all who helped to make it successful. Thank you also for the generosity of the congregation we raised £200 for the Alzheimer’s Society and £200 for the three Welsh schools in Patagonia. They are under stress because of devastating inflation and the lack of funds from the government to pay the Welsh teachers but some are working for nothing to sustain the standard of Welsh teaching. This was posted on 4 March 2019.